In his column for Switzer, John McGrath discusses the rising demand from investors in Sydney and Melbourne. Demand from investors in Sydney and Melbourne is particularly high today following significant property price rises over the past five years in both cities. 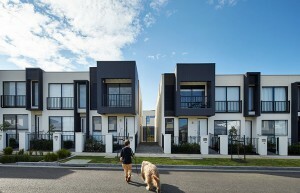 Investor appetite for bricks and mortar is reflected in the latest finance figures which show that NSW and VIC together accounted for 76.3% of all new investor borrowings nationwide in December 2016, the largest share of the market on record, according to CoreLogic and the Australian Bureau of Statistics. Separately, NSW represented 49.6% of national investor finance and VIC 26.7%. By comparison, at the start of the boom in mid-2012, investor lending in NSW was 37.3% and 25.1% in VIC. 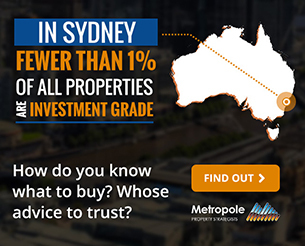 Clearly, investor interest is highest in Sydney and that’s because of its outstanding recent capital growth. But it’s crucial that investors do not forget the importance of rental yields. Right now, the two cities with the greatest investment activity are also the cities with the lowest rental yields. Drilling down and using Sydney as an example, weekly rents have actually been rising while yields have been falling. The latest Rent and Sales Report from the NSW Government shows the median Sydney rent has risen from $450 per week in the September 2012 quarter to $520 in September 2016. That’s good news for investors who already own property. But, for new investors, the yields they are receiving are lower overall because the pace of capital growth has been much faster than rents. 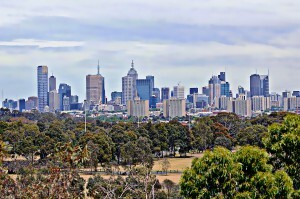 In Sydney, average yields are 2.8% for houses and 3.7% for apartments, according to CoreLogic. In Melbourne, they’re 2.7% for houses and 4% for apartments. In Brisbane/Gold Coast, it’s 4.1% for houses and 5.3% for apartments. The cities with the highest rental yields are Darwin at 5.1% for houses and Hobart at 6% for apartments. I suspect the low yields in Sydney and Melbourne aren’t concerning today’s investor buyers because interest rates are so low. Mortgage repayments of 4-4.5% are relatively easy to manage on properties yielding 2.5-4%. But what happens when interest rates return to their long-term average of 7-7.5% and the rate of capital growth inevitably slows as the market returns to normal conditions? While capital growth should always be an investor’s number one priority, rental returns are crucial for servicing your debt. The only way for most people to make money in real estate is by holding for the long term. So, Sydney and Melbourne investors out there buying today – at what is likely to be the tail end of this boom – need to make sure their chosen investment will provide enough rental income to help them cover their rising mortgage repayments over the next 10 years and beyond. 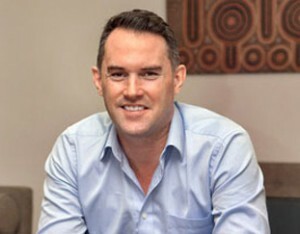 Today’s investors also need to be wary that supply of rental properties is rising because so many investors are buying, which means tenants have more choice and this might affect vacancy rates. I’m not saying that investors shouldn’t buy right now. But it’s important to do your sums and make informed decisions based on a long-term view. Be careful in your property selection too, particularly with apartments given supply will be increasing in the short term due to the construction boom. Make sure there are some unique features that will differentiate your apartment from the rest. This will help protect your rental return, reduce your vacancy periods and maintain your capital value.